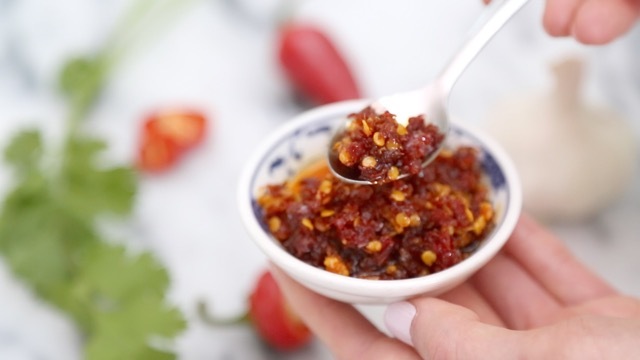 ﻿Love Spicy Chili Sauce? A staple condiment that you'll often times find in small jars at Asian Restaurants, is chili sauce. 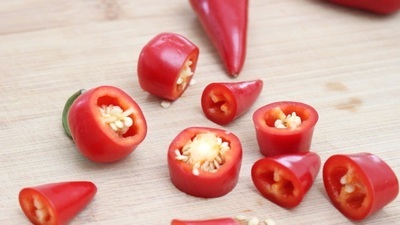 If you love spice, you'll know that a little chili sauce seems to give dishes an extra pop of flavor and pizzazz. + These go great with my Potsticker recipe. My homemade chili sauce is made from only 6 ingredients! I like to use fresh red fresno chilies, but if you want something a bit spicer you could always opt for Korean Red Chili peppers or habaneros. Keep in mind that chili heat can vary from season to season, or by farm so it may be wise to sample/try to ensure you're happy with the level of spice before making a big batch. TIP: Yes! 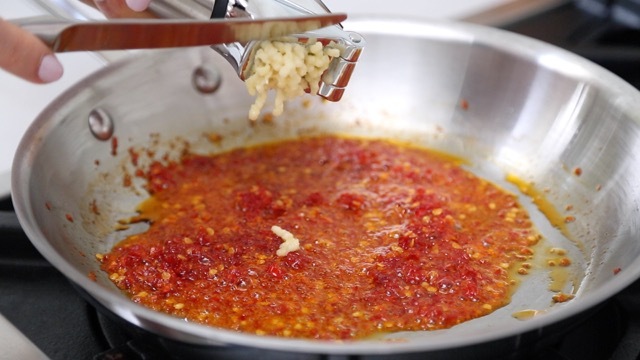 You can make a large batch of this sauce and store it in a glass container. If you want to keep it for longer than a few days in the refrigerator, sterilize the glass as you would with making homemade jam. Add the canola oil, salt, sugar, and vinegar and continue to sauté for another 6 - 8 minutes. 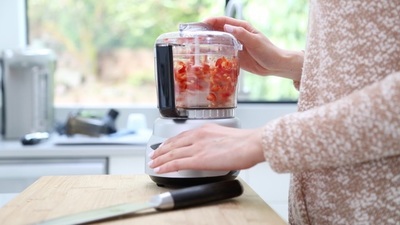 Reduce the heat to very low and add your fresh garlic. Sauté for another minute to release the garlic flavors and let cool before serving. 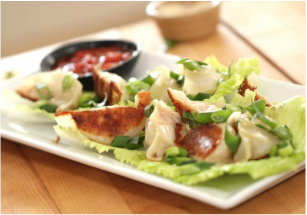 Serve this as a dipping sauce with my delicious Homemade Potstickers!